Item Number: H20-4316GL Have a question about this item? 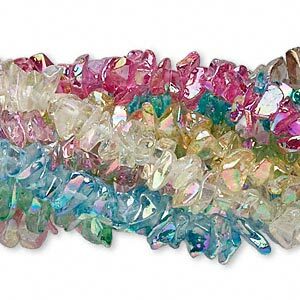 All assorted color strands have an AB finish and include medium blue, cobalt blue, green, gold, purple, red, peridot green, black, pink and clear. 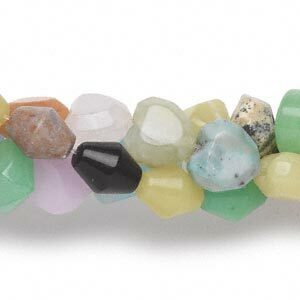 Bead, glass, assorted colors AB, 4mm faceted round. Sold per pkg of ten 13-inch strands. 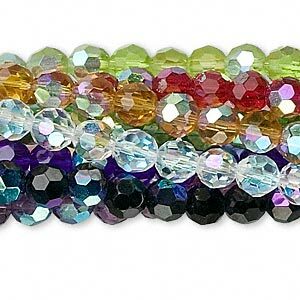 Bead, glass, assorted colors AB, 6mm faceted round. 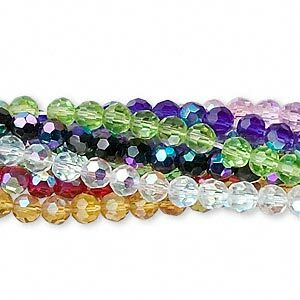 Sold per pkg of ten 13-inch strands. 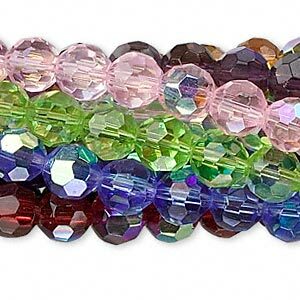 Bead, glass, assorted colors AB, 8mm faceted round. Sold per pkg of ten 13-inch strands. 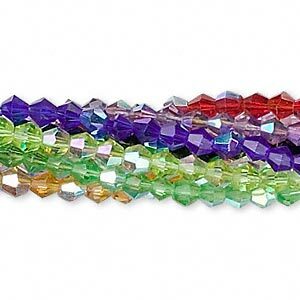 Bead, glass, assorted colors AB, 6mm faceted bicone. Sold per pkg of ten 13-inch strands. 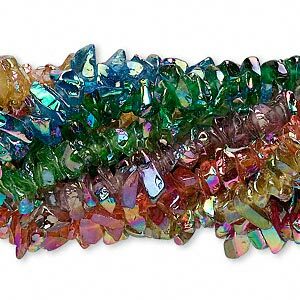 Bead mix, glass, mixed colors AB, small chip. 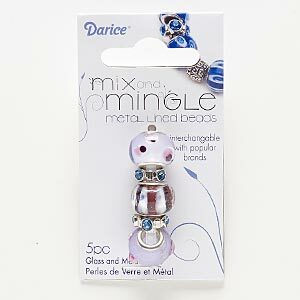 Sold per pkg of (10) 36-inch strands. 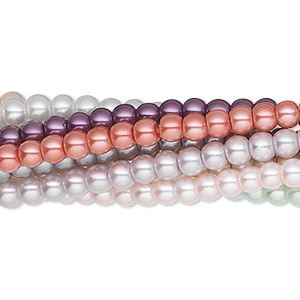 Bead, glass pearl, assorted colors, 4mm round. Sold per pkg of (10) 30-inch strands.